Complete the CS Department format review by the posted deadline for the term. Please refer to the Thesis Office requirements for formatting instructions and "Steps for Deposit" for their electronic deposit guidelines. Allow a week to submit your electronic deposit for the Thesis Office review prior to their deadline. This will allow them to review your thesis and respond back to you with any required changes before their final posted deposit deadline. Download as appropriate, the Masters Thesis /Dissertation Approval (TDA) form or the Ph.D. Thesis /Dissertation Approval (TDA) form. If MS, your Advisor will sign as Director of Research. If PhD, your entire committee signs the form. Please plan accordingly if you have an external member that needs to sign your form. The Academic Office will assist you in obtaining an electronic signature from your outside member, but please allow additional time for the form to be returned in time to meet all deadlines. You must type in the information on the TDA form and cannot hand-write any information on the form. Your name must match how it appears in the Banner system. When you have the Title Page check done, you will be given this information or check with Maggie Metzger Chappell in the Academic Office. It is very important to have a Title Page check done in the Thesis Office prior to having this form signed. 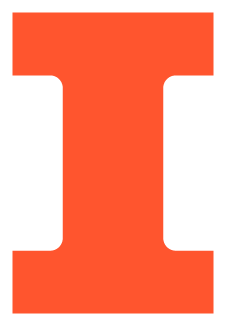 The Thesis Office can now review your title page by email (thesis@illinois.edu). Attach your PDF or MS Word document and include the words "title page" in the subject line. Please allow up to two business days for them to review your title page. The Thesis Office will require you to complete and sign the ProQuest/UMI Publishing Agreement form. If a thesis needs to be withheld from public release to protect materials or for patents issues, the student should submit a Thesis Withholding Request Form prior to submitting the thesis for review at the Graduate College. The Thesis Office encourages students to read the Graduate College's statement on the use of previously copyrighted material in a thesis and the responsibility of students to exercise sound authorship practices. PhD students need to complete the Survey of Earned Doctorates. Submit one copy of each permission letter to reprint previously copyrighted material. Complete the CS Graduate Release form. You will need to log in with your netID and active directory password. If you are planning on participating in the graduation ceremonies, please refer to the Commencement Office website for complete deadlines and details. Hooding ceremonies for the PhD and MS students will be held at May graduation. In addition, the Graduate College organizes a December doctoral hooding ceremony for doctoral degree recipients whose degrees are conferred in December. PhD students graduating in the Fall term can participate in the Graduate College doctoral hooding ceremony and/or the May graduating ceremonies. Students holding fellowships must notify the Graduate College Fellowship Office in advance of thesis deposit. Depositing your thesis when holding a fellowship may result in your fellowship being cancelled. Effective Spring 2008, students with assistantship appointments (RA, TA, GA, PPGA) are eligible to hold their assistantships through the end of the semester in which they deposit, regardless of the deposit date during that semester. For additional information on campus fellowship and assistantship policies, please refer to the Graduate College Handbook (Note: Grads on fellowships should pay close attention to the dates located in point #7 here in the Grad College Handbook). Questions regarding these policies should be addressed to the Graduate College Fellowship Office.